Finest quality ash worktops manufactured to highest standard at the most reasonable prices online, carefully selected to ensure uniform colour and perfect match. 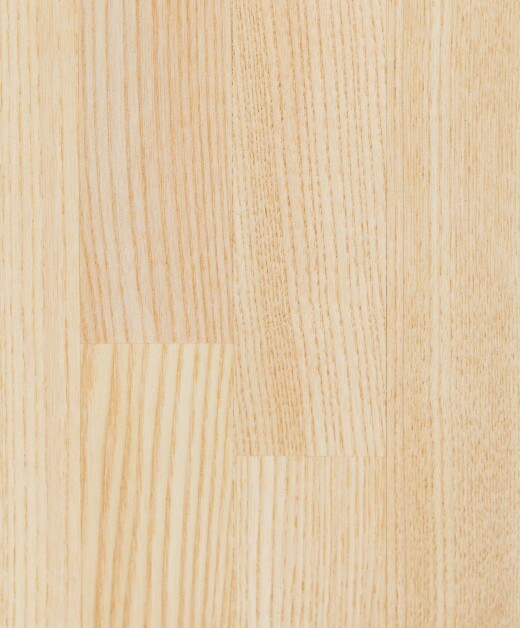 Sometimes known as White Ash, this wood derives from the Fraxinus Americana species group and is native to eastern North America. It is a hugely popular and versatile wood and Ash is one of the most used trees for everyday wood manufacture. Ash wood is strong and straight grained making it ideal for a large number of uses. It works well and responds to a variety of woodworking techniques. It is commonly used for flooring, sports equipment and tool handles and other joinery products. Ash is a great all purpose wood and we recommend it for its strength, reliability and the ease with which it responds to wood working processes. It has a lovely straight and regular grain and is a delightful pale creamy colour which is so easy to work with when planning a kitchen design scheme. Price per linear metre. Please enter the total quantity in the box and email us with instructions which edges should be profiled and the type of edging you've selected. Price per linear metre. 3 coats of Danish Oil.